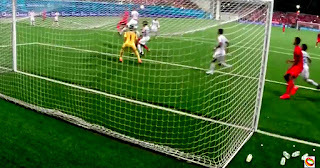 To limit hosts Singapore at the Jalan Besar to a solitary goal in an opening game when nerves might have been expectable and, therefore, forgivable was no small achievement for the U-23 Philippine Azkals in the SEA Games last night. That the goal came just before the half off an unnecessary freekick conceded by the mercurial Paolo Salenga ought to be food for thought for the coaching staff, along with other testy freekicks given up in dangerous areas throughout the match. Also food for thought ought to be the ease with which Singapore carved open the young Azkals’ defence in the match’s opening and closing quarters of an hour. It was probably down to opening day jitters early on; while the loss of focus late in the match was probably down to the team’s relative lack of experience. Pre-match, my concern was that the Singaporeans would expose a gaping chasm between the senior side and the under-23 team. Post-match, we were all reassured that many of these youngsters will one day slot in seamlessly into the senior side. We were also given tangible proofs that our local leagues, even those of collegiate level, are now capable of producing players that will no longer lie down and make welcome mats of themselves for our Southeast Asian rivals. Indeed, prior to conceding the somewhat mindless freekick that led to the goal, Salenga showed glimpses of his potential by confidently taking on his markers to get behind the Singaporean defence on at least a couple of occasions in the first half. There were also eye-catching performances in midfield from the diminutive Arnel Amita and Paolo Bugas, although both were as wont to show flashes of brilliant control as they were to giving the ball away cheaply. The two were at their best after the restart when the young Azkals strung together passes with composure belying their youth; and for stretches had Singapore pegged back in their own half. Indeed, who knows how differently the outcome would have been had rightback Francisco Santos, on the overlap, scored on the 56th minute chance that he himself brilliantly created? 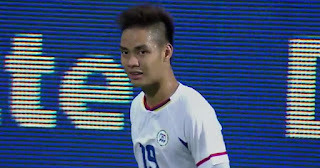 One did wish that the Philippines’ captain Gerardo Valmayor, deployed as a lone striker, had more pace that would have allowed him to exploit imaginative over-the-top balls when the Singaporean defensive line was caught high. Valmayor’s has a terrific work ethic; but will probably be more effective as a box player when his team is dominant territorially. It was probably not a coincidence that the young Azkals’ best shooting chance of the night was created by a galloping rightback. Personally, I was torn between admiration and anxiety when the Philippines played the ball out of defence with neat short passes. On the one hand, most of the time the youngsters did so neatly and with the sort of composure that we sometimes do not even see in the senior team. On the other hand, there were instances when the inter-passing in dangerous areas was a tad elaborate, when one mistake could have gifted Singapore with shooting chances. Sometimes, it makes more sense to simply whack it, get up and at them, win the ball back and pass in their own half. Singapore, to be fair, did create enough chances to have won more comfortably than they did. That they did not was as much due to their inability to finish – and we will leave it to their coaches to worry about this – as it was to the combative and committed performance by the young Azkals. It will serve all of us a lot of good to bear in mind that this was an opening game; and that the team can grow into the tournament. On the basis of last night’s performance, there is already a solid foundation to build on. Something that I would have liked to see from our team last night was a bit more instinctiveness and spontaneity in the way our team strung together passes, particularly when breaking out of defence. 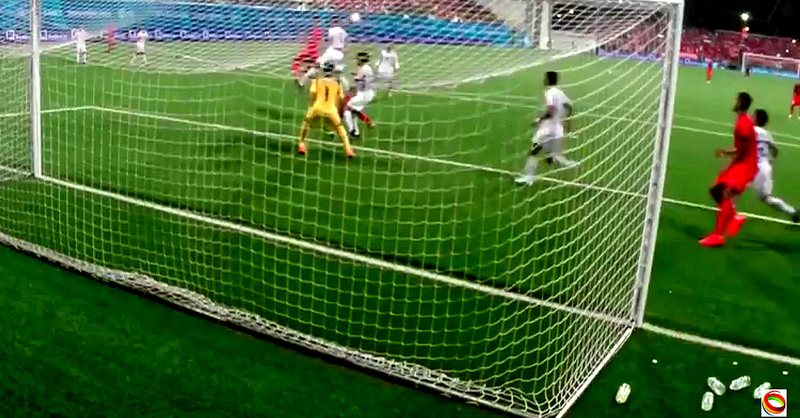 I watched the Laos-Brunei match also in the SEA Games the other night, and Laos in particular passed the football with such panache that they were a joy to watch. It was the sort of football that you achieve only from having players who have played together for a significant amount of time and when everyone knows what everyone is doing. 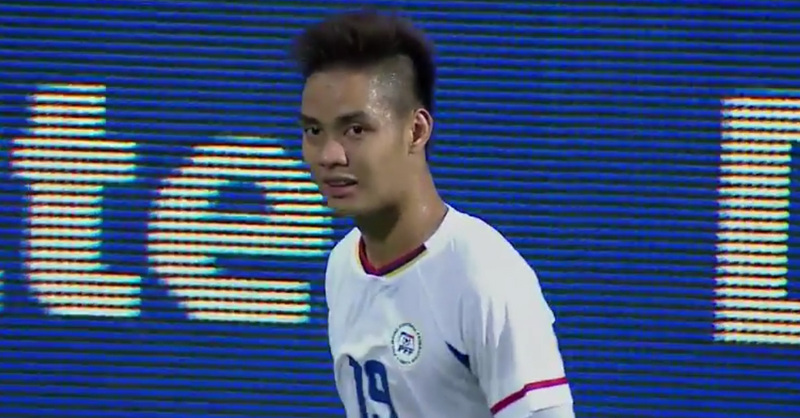 Granted, Laos probably would not have played as fluently against a team as physically robust as Singapore. Yet, many of our players are themselves physically robust and could have used some of the spontaneity that Laos used to great effect against Brunei. This is just me thinking out loud; but how about if the PFF called everyone in for a national football summit where the vision is given and the playing philosophies and styles are outlined. Then everyone works towards the production of players knowledgeable in these philosophies and styles and can, therefore, help fulfil the vision. Perhaps, one day we will have a team which has everyone on the same page and the football will flow as a matter of course because it is the football all the player grew up playing. Just me thinking out loud.